We have for sale a 2004 E350 natural gas van with only 140000 km. 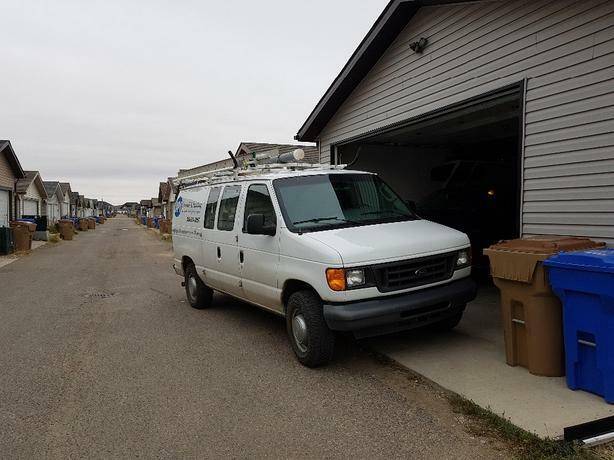 This vehicle has been well maintained over the years with regular oil changes and is an excellent running condition and in good shape it has newer tires, new windshield, new injectors, new rear brakes and calipers, new battery and new belt. It has a rear heater , interior is plywood with shelves and racks and cargo dividing wall also with drawers. It also has two ladder racks. There are natural gas fill stations in Moose Jaw and Saskatoon. I use this vehicle every day for personal use and work costs about $50 a week in natural gas very efficient.